Interested in learning more about our campus? Here is our November 2017 Ottawa newsletter for your viewing to see events, news and much more! Interested in learning more about our campus? Here is our late October 2017 Ottawa newsletter for your viewing to see events, news and much more! Both Blyth Academy Ottawa, and Blyth Academy @ CIHA participated in a Terry Fox walk at Parliament Hill this morning. Students donned their best blues to represent our school in working towards Terry’s dream of a world without cancer. Interested in learning more about our campus? Here is our early October 2017 Ottawa newsletter for your viewing to see events, news and much more! Interested in learning more about our campus? Here is our late September 2017 Ottawa newsletter for your viewing to see events, news and much more! Interested in learning more about our campus? Here is our September 2017 Ottawa newsletter for your viewing to see events, news and much more! 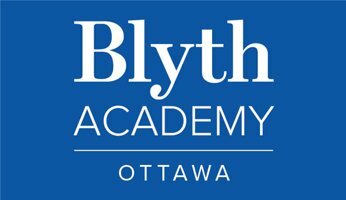 Come Watch the Solar Eclipse with Blyth Academy Ottawa! As you may have heard, there is a solar eclipse on Monday, with the path of totality making its way across the United States. Ottawa won’t see anything nearly as dramatic, but it will still be a neat experience! Blyth Academy Ottawa and Ottawa Aviation Services have recently formed a partnership that may see future Blyth Ottawa graduates well prepared for a career in aviation. Blyth Academy offers athletic programs that recognize that students pursuing a goal in professional sports have specific training and schedule requirements that require flexibility. We can accommodate your needs for flexible education.